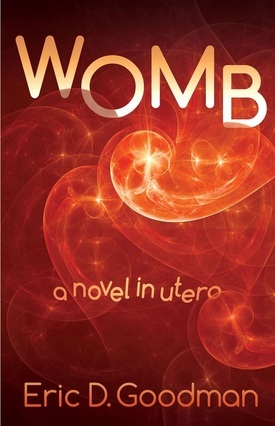 Womb is narrated from the point of view of a child still in utero. He describes his own reality inside the womb, his connection to the collective consciousness, and also narrates (through his own perspective) the drama of his mother's life as she deals with her pregnancy, friends, family and work. by Alice Sebold. Womb is due for delivery on March 21, 2017. “Goodman's Womb is a witty, innovative look into inner space. Well written, with entertaining plot twists." "Sincere and empathetic, Goodman delivers. … brim with soulful compassion." "… an absolute delight … beautifully-written … will hypnotically pull you in and captivate you to the very end." "Goodman limns the lives of his characters … with a light and sensitive touch, yet he manages to delve deep, right to their very hearts. By turns comic and poignant …"
"I have long been a fan of Eric D. Goodman's taut naturalistic fiction … rich textures … well-drawn characters … breathtaking moments of epiphany." See what others are saying about Eric’s writing. Author Eric D. Goodman imagines himself in utero. an OBG/YN and Pre-Natal Psychologist. ​Visit Writeful for all of your literary longings.